Hunt for buried treasure with this hand-held metal detector from 4M. When you hear it beep, you have found something metallic! Age 5+ years. 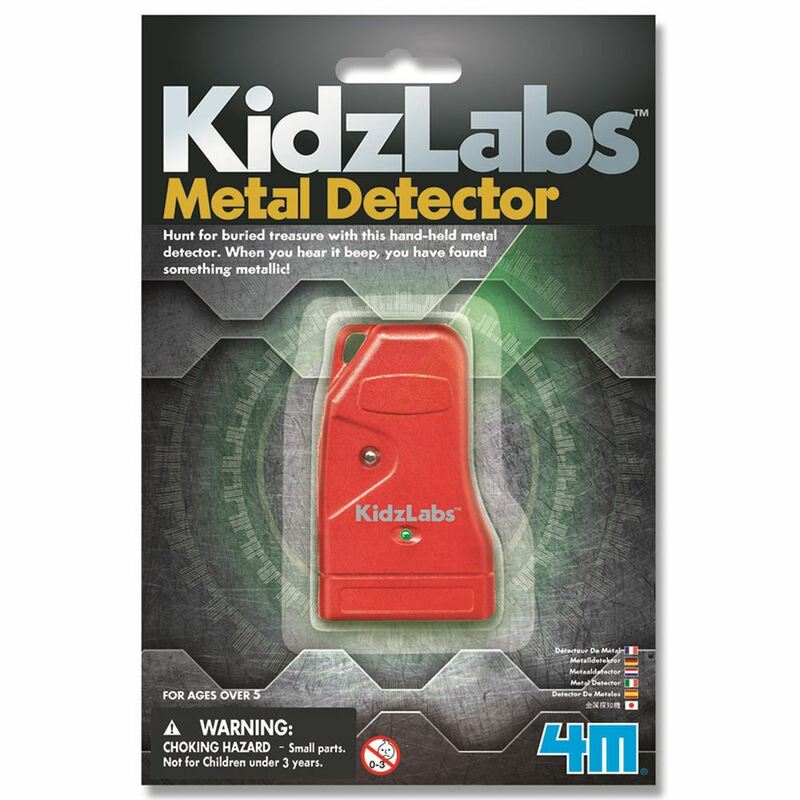 Part of the KidzLabs range. Distributed in New Zealand by Holdson.